Outdoor cooling fans are beautiful exterior fixtures that enable you to expand your living space to the outside of your home. They are the best option for crafting a functional and comfortable environment outside your house despite the weather conditions. Compared to other cooling systems such as air conditioners, fans are cheaper in both acquisition costs and operating costs. This provides you with the opportunity of saving on your electric bill. 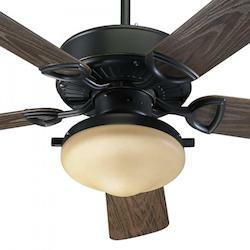 Wall mounted oscillating fans are an ideal solution for the smaller spaces in your home. They are the replacement for the traditional big fans and air conditioners, hence enabling you to save on energy. Buy outdoor oscillating fans today from We Got Lites online store and be guaranteed to get the best price on your purchase. We have small industrial outdoor wall mounted fans with lights and a remote control operating system. Wall fans work by creating a low-pressure airflow and low volume that is perfect for climate control. Vintage switch control wall fans are very easy to control and come with wall controls while others feature pull chains. 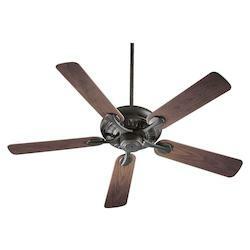 To install these space saving fan fixtures, simply screw it to your outdoor walls. 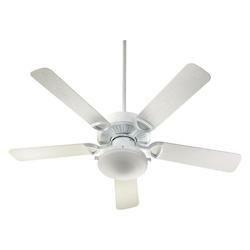 Wet rated oscillating wall mounted fans are the best fixtures for outside space. 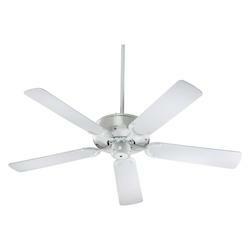 Standing fans and outdoor floor fans are simple and portable fixtures that save on space. Choose from a wide selection of outdoor patio fans with a well-standing base or outdoor floor fan to add style and ambiance to your space. With a variety of styles to select from, We Got Lites has something for everyone. These are widely used cooling fixtures for exterior environments. They come in different styles, designs and finishing to suit your porches, patios or gazebos. 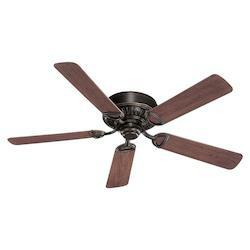 Browse our wide selection of wet rated outdoor gazebo fans and outdoor deck fans. 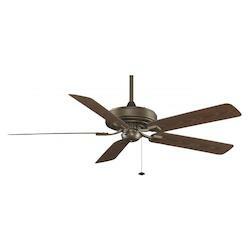 Outdoor patio ceiling fans offer ideal relaxation for the family. 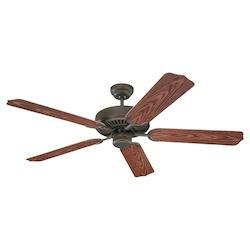 Browse our outdoor ceiling fans from recognized brands such as Fanimation, Hampton Bay, Hunter and more. 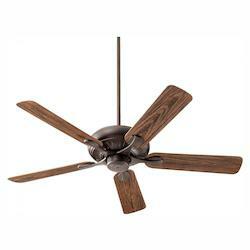 We provide contemporary ceiling fans with decorative styles to give your outdoor space an impressive appearance. UL wet rated outdoor doors are the best fixtures for external environments. They allow easy cleaning and you can spray them with water hosepipes without interfering with the motor. They are capable of handling intense rain, ice, and snow. They also work well in harsh salty ocean breezes. 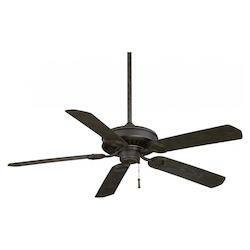 Before buying an outdoor fan fixture, ensure you check on your ceiling height and your room's requirements. 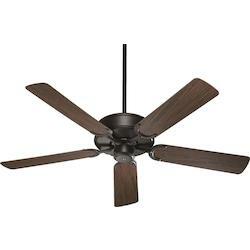 The recommended height from the room's floor to the fan blades is nearly 8 feet. 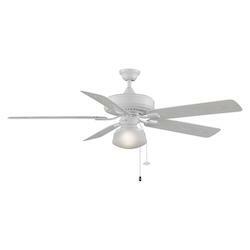 We Got Lites offers a wide array of outdoor ceiling fans from renowned manufacturers to ensure we provide our customers with a uniquely crafted, high-quality fan that meets your individual needs. 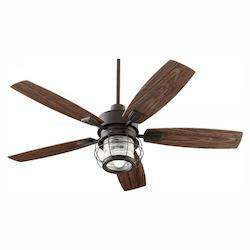 You can choose from customizable blade options, outdoor ceiling lights with fan lights and more. 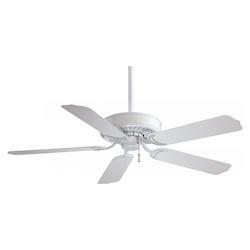 Celling fans come in different blade sizes ranging from 40-70 inches. 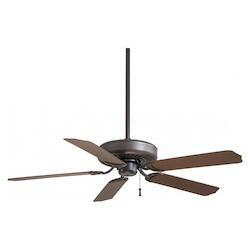 Small fans feature blades of between 42 inches and 48 inches. They are versatile fixtures for outdoor spaces with less than 100 square feet of balconies. 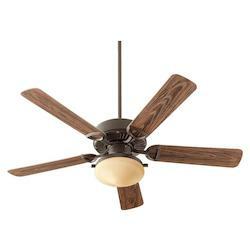 Large fans, on the other hand, range between 60 inches and 70 inches and are perfect for exterior spaces measuring more than 300 square feet such as large front outdoor porch fan and outdoor patio fan. 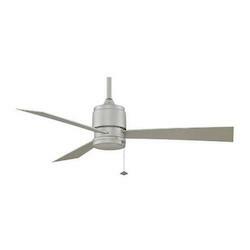 Find a wide range of UL listed commercial and domestic outdoor fans. 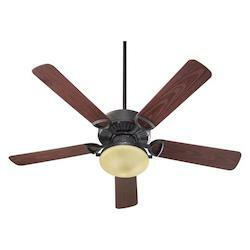 It is important that you know how to size an outdoor fan for your space. Small fans are for smaller areas while large fans are for bigger areas. Choosing the correct size of your outdoor fixture ensures maximization of the performance offered and the styling you want to achieve. It also ensures you get the right level of comfort with less disturbance. Installing a small fan for a larger space will compromise on the level of comfort you enjoy since it will not be capable of supplying the whole space with the right amount of cool air. 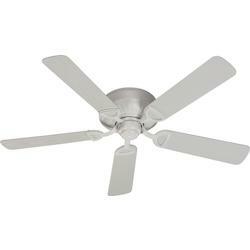 A large outdoor fan installed in a small room will result in a more intense airflow, which can be uncomfortable. The solution, therefore, is to ensure you choose a fan proportional to the size of your outdoor space. 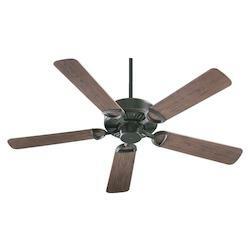 When selecting an outdoor fan, always consider the material used in its building. 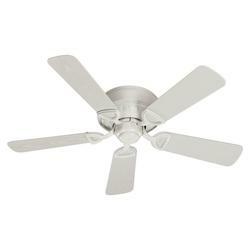 This will determine if your fan will be capable of withstanding harsh weather conditions of the outdoor spaces. 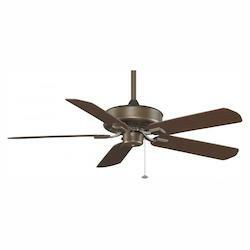 An ideal outdoor fan should be made using stainless steel or aluminum casing that is rust resistant. Stainless steel outdoor fans require regular cleaning and therefore aluminum material are the most preferred. 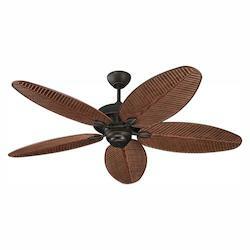 Outdoor fans need to have high-grade wires that are thick enough to transmit electric power without any issues. You should also make sure that the insulation used for the wires are thick enough to enable the fan to withstand the outdoor harsh weather conditions. One other thing to look for as far as material is concerned is the motor seal. You need a good seal that prevents outdoor materials from damaging the motor. 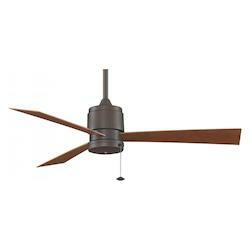 The fan should also feature a water resistant coating for the prevention of rust hence prolonging the motor life. 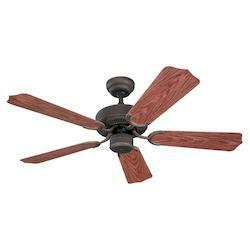 Fan blades made of wood provides an excellent appealing and looks classy though they are not the best material choice for outdoor fans. This is because wood is prone to rot when exposed to outdoor elements such as moisture. 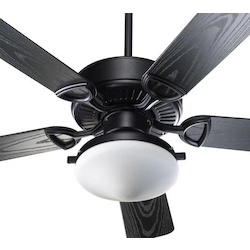 Just like the motor sealing of your outdoor fan, the blades also need to be made of waterproof materials. UV resistant plastics are so far the best-recommended rust proof materials for blades. They are waterproof and free from sun's effect. 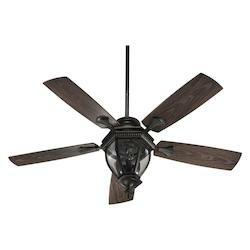 Manufacturers, such as Hampton Bay, produce exterior fans in different styles, sizes, finishes, and designs. 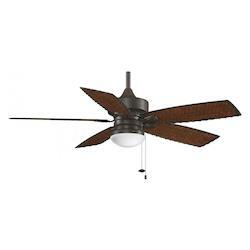 Visit We Got Lites online store to view our wide range of quality fans that bring comfort to your outdoor space, whether in your patio or gazebo. 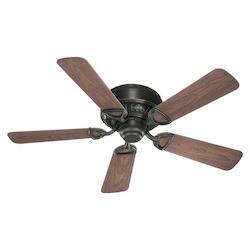 The following are the most common types of outdoor fans: flush mount outdoor ceiling fans, outdoor fans with lights, remote controlled outdoor fans, outdoor misting fans. 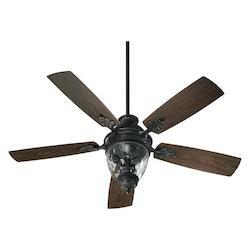 These exterior fan fixtures are normally installed in outdoor spaces featuring ceiling height of fewer than 8 inches. 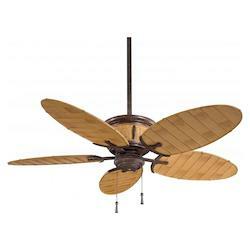 The outdoor hanging fan is common in most homes nowadays and you can find them at We Got Lites at an affordable price. 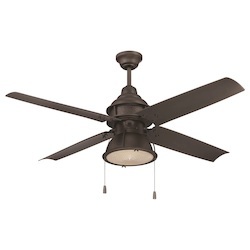 These outdoor fans perform a dual function of cooling and illuminating the outdoor space. 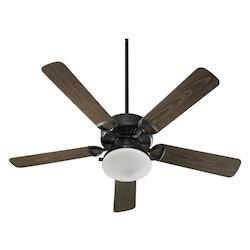 They provide comfort and safety by offering a cooling breeze and light. At We Got Lites, we offer different selections of outdoor ceiling fans with lights, though you can opt for outdoor ceiling fans without lights. Outdoor fans with remotes are the most convenient fixtures. 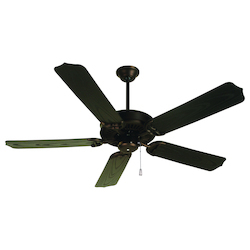 Imagine controlling your outdoor fan using a single inventory. Indeed, that is an ideal relaxing environment. Usually, remotes for outdoor fans features a signal receiver wired to the fan canopy. Handheld remotes come with batteries for powering them. Outdoor misting fans are contemporary fixtures for providing an instant refreshing environment for your guests and family. This modern equipment is ideal in areas with persistent drought. Browse our wide variety of misting fans including self-contained variants with varying speed and intensity for customized experience. Do let extreme sun heat to compromise on your outdoor comfort. Buy these outdoor living accessories at a very affordable rate from We Got Lites. They are normally fitted with water jets to cool down the unbearable heat condition and allow you to stay outside for longer periods. Other contemporary designs are outdoor heater fans that provide you with great cooling during the summer months and heat during winter. These fixtures provide the best ways on saving on your electricity bill. Their dual purpose enables them to perform bot the functions of air conditioners and electric heaters, hence reducing on your electric bills. Do you want to move a lot of air or do you simply need a gentle breeze? 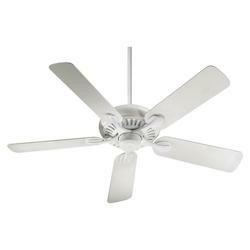 Some outdoor fans are more powerful while others are designed to move slowly for a gentle breeze. The power of a fan is not determined by its size. The key element you need to look at is Revolution per Minute (RPM) rating which provides an indication of how powerful the fixture is. 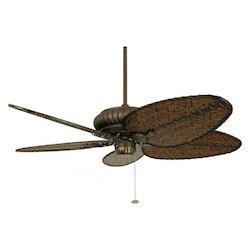 Those living close to the ocean need outdoor fans that features are rust-protected. 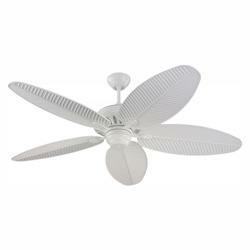 The recommended fans for such places are those made from 316 Marine Grade Stainless Steel. 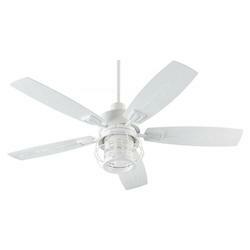 You can also opt for outdoor fan fixtures with plastic blades and aluminum motor. 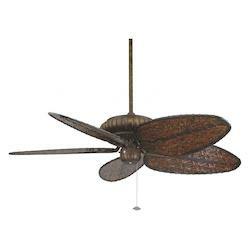 Our collections of outdoor fans meet ant-rust ratings. Go for a fixture that complements your traditional, modern or tropical styling. At We Got Lites, we offer various styles ad designs of outdoor fans ranging from modern designer style, traditional outdoor ceiling fans, simple minimalistic outdoor fans, tropical timber/ palm/ bamboo appearance and others. You can narrow down to your ultimate choice b browsing our website. Ceiling fans offer a great level of flexibility and you can choose the size that best suits your outdoor space. Most fans feature a standard size of 52 inches though there are many others which are smaller or larger. 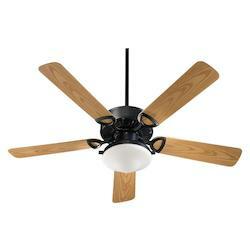 Ceiling fans or hanging outdoor fan fixtures with standard size are fine as they cover most of the area. However, outdoor wall fixtures need something quite larger to ensure that the cooling air reaches most areas in the space. 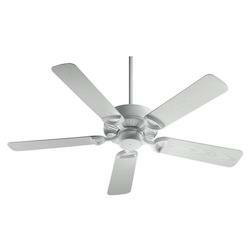 Can Outdoor Fans be Used Indoors? Outdoor fans can be used in indoor areas such as laundry and bathrooms where there is a high level of moisture and humidity. 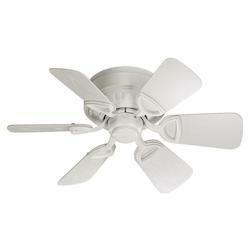 For bathrooms, wet rated outdoor fan are the highly recommended options. 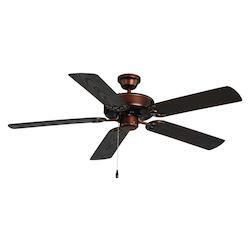 However, indoor fans cannot be used for outdoor cooling because most of them are made of powder-coated materials that are likely to rust when exposed to harsh conditions of outdoor spaces. If you are planning to buy an outdoor fan or fixture, We Got Lites offers a wide range of indoor and outdoor light fixtures. Choose from our one of our many high-end models and brands from top manufacturers that will suit your budget and needs. We also store a variety of outdoor exterior lighting fixtures in case you need to illuminate your outdoor exterior surroundings. A good outdoor fan fixture deserves to be complemented with a great lighting fixture. Our main categories of lighting fixtures include wall lights, pendants, flush mount, chandeliers, ceiling and security light fixtures. 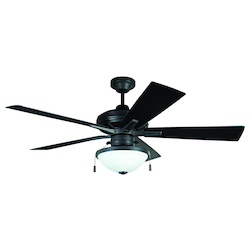 Those looking for dual fixtures that offer both cooling and lighting, we suggest our contemporary designs of outdoor ceiling fans with lights. They are the most convenient combination of cooling and light and allows you to spend more time outside during the months of summer and spring throughout the day. They are ideal for family get-together parties and friends bash.